centenary on Thursday 22 October, and Sotonettes members have been invited to join the festivities. There will be an exciting programme of activities and events for children and adults, with special guests, stories, crafts and lots more to be announced. To help with the celebrations there will be a display featuring the memories and stories of library users. Do you have an amusing story/anecdote you would like to share about the library? Or did you achieve something special or discover a new skill with the help of the library? It can be anything. Whatever it is, Portswood Library would love to hear from you! Send your reminiscences to portswood.centenary@southampton.gov.uk or hand them to staff at Portswood library, Portswood Road, SO17 2NG. Photographs courtesy of Friends of Portswood Library. The summer has been a busy time for our book club and our members have had a great few months reading a wide variety of books. We now have a ‘Sotonettes score’ for each book – if you’re looking for something to read, have a look below to see what we all thought of our recent book club reads! We found that as a book club, we didn’t get on very well with this book. We found the story didn’t come across realistically and also not as the blurb really describes. The book is described as one about domestic violence, but the issues related more to the relationship between a teacher and his underage student and child grooming. We also found the writing style confusing – a beach read/easy read style of writing but about serious and complex issues. We felt the disconnect between writing style and issues contributed to the difficulties in the portrayal of the plot, characters and issues. 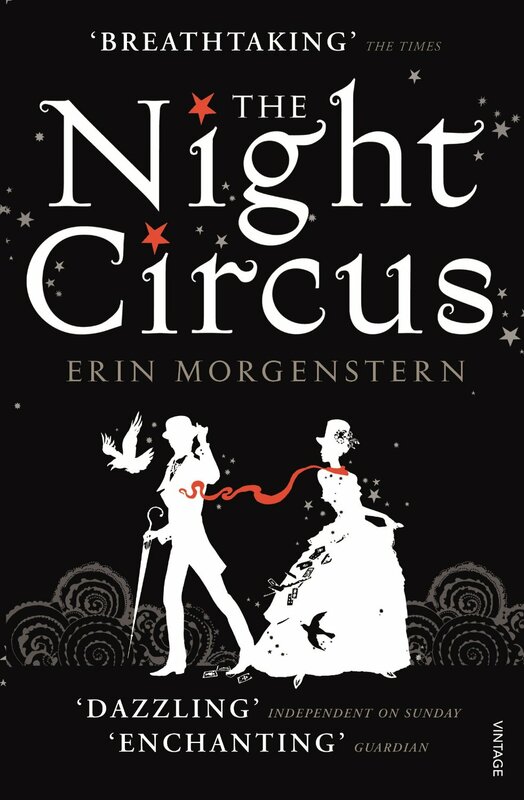 We all agreed it was a lovely book with stunning descriptions and a beautifully created world. The story and characters of the book have a timeless quality, seeming to exist independently of time – we couldn’t clearly tell what era this was set in without the prompts! In the discussion we agreed that the book was a bit surface level – beautiful description but perhaps lacked depth in the plot and character. An enjoyable and easy book to read. Overall, we found this an excellent book with a good pace and compelling story and characters – we felt transported to the time period. The writing style was particularly noted for its spot on balance of description – enough to set the scene, providing interesting and unusual historical information but without weighing down the reader. The historical aspect was the favourite part for many and we considered it to be a fair reflection of the time it was set. We enjoyed learning more about that era in history, especially about the little everyday details and those relating to the lives of women in the period. 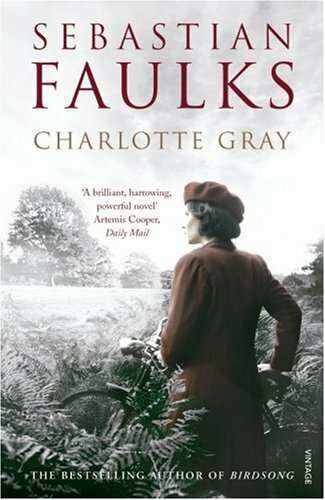 The discussion about this book was broad reaching, with a lot of discussion about the historical context… and also about the ending- did Charlotte make the right choice? To celebrate the 200th anniversary of Mansfield Park being published, we chose Jane Austen to read and discuss this month at the Sotonettes Book Club. The main book was Northanger Abbey, but any book was up for discussion, and we did talk about them all – Mansfield Park, Emma, Sense and Sensibility, Persuasion, and of course, the very famous Pride and Prejudice. Northanger Abbey, Austen’s pastiche of the Gothic novel, which was very popular at the time, was generally decided to be the least exciting of her books that we had read, as the plot is a lot slower and the mocking, witty tone is more overt. Although it was enjoyed by most of us, we thought that Pride and Prejudice was more plot-driven and interesting to read, and a lot more accessible to the modern reader. Further reading suggestions were Longbourne, by Jo Baker, a take on the Pride and Prejudice story from the perspective of the household staff. Also a reimagining of Northanger Abbey, by crime writer Val McDermid, released this year to celebrate the anniversary. Death Comes to Pemberley by P.D. James, a mixture of a sequel and crime story, based again on Pride and Prejudice, was recommended. Also there was an excellent BBC adaptation of this, shown at Christmas. Also mentioned was The Forgotten Sister by Jennifer Paynter, which is about Mary in Pride and Prejudice, telling her story as the neglected sister. The book that Catherine and Isabella in Northanger Abbey adore so much, The Castle of Udolpho by Ann Radcliffe, could also be interesting as further reading, and give an insight into the literary tastes of the characters and society at the time. The Monk by Matthew Gregory Lewis is another Gothic novel mentioned by the characters, and was published in 1796. A spin-off of Austen books, The Jane Austen Book Club, by Karen Joy Fowler, was also recommended, and the TV show Lost in Austen, for a more modern take on the novels. Of course there are numerous adaptations of all of Austen’s novels, and there was a little debate between us about which version of Pride and Prejudice was superior! Also there was the biopic of Jane Austen, Becoming Jane, based on the book by Jon Hunter Spence,which was released in 2007. We also discussed Chawton House in Hampshire, which has letters, costumes and other items from the time when Jane lived there, and how events like balls happen from time to time where you can dress up in Regency costume – some of us were very keen on this idea! I hope all these further reading suggestions are inspiring! Do let us know if you read any (and what you think)! Our next Book Club meeting is tonight (Tuesday April 15th) – if you’ve always thought about coming along but have never been yet, make this your first meeting! 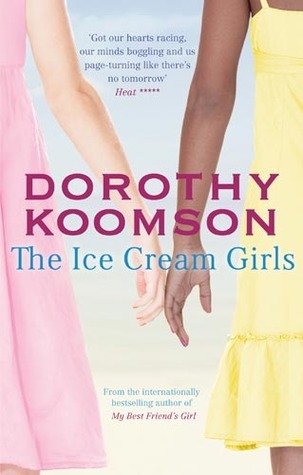 Reading the book isn’t necessary and we know a lot of you have seen the TV adaptation of this month’s book, The Ice Cream Girls! For more information, see our Book Club page. 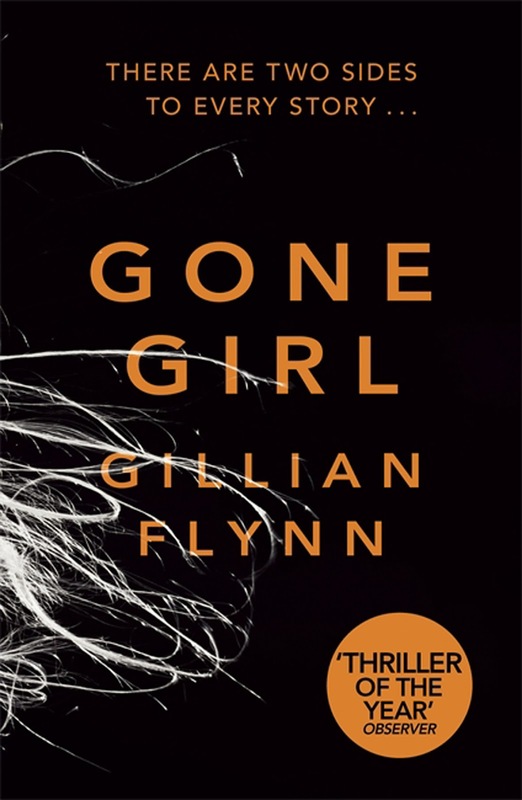 For February and March’s book club meetings we read two fabulous books: Gone Girl by Gillian Flynn and The Handmaid’s Tale by Margaret Atwood. As seems to be a theme for the Sotonettes Book Club (!) opinion was divided on both books! A psychological drama, the story starts with the sudden disappearance of Amy, Nick’s wife. As the story unfolds we learn all is not as it seems through a series of surprising and shocking plot twists. It’s all but impossible to write about this book without giving away some serious spoilers – how the plot unfolds and the journey of how the truth is revealed is a key part of the book so we won’t ruin that for you! Where we disagreed: Some of us felt the story was slow to get going, but others were hooked from the start! Areas we agreed on: Most of us felt that towards the end the story everything became a bit rushed and the plot twists and behaviour of some of the characters became a little unrealistic and even implausible at times… and we wanted a different ending! What do you think – do you agree? 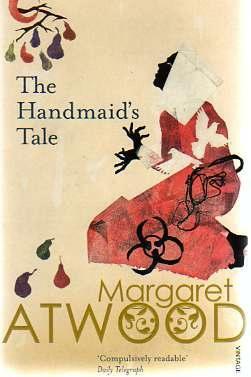 This was another controversial book which generated a lot of discussion – both about the book itself and wider issues about society, the past, present and future. The story is told by Offred, a woman in the middle of a changed world. Set a little way in the future in the US, a totalitarian regime has taken away the rights of women to have any independence – to earn money, to even read. Family, love and a woman’s right to choose is entirely lost. Hope is found however, in acts of defiance and an underground resistance. It’s certainly fair to say that this dystopian fiction isn’t a ‘cheerful’ book, and may not appeal to those looking for a more classic happy ending. We felt that this book, in its subject, plot and structure (without giving too much away! ), is designed to get the reader thinking about big issues including the role of women in society, politics, the control of information, and religion. We found this book very emotionally powerful, an enthralling page turner. Told from just one perspective as a glimpse into a complex and dangerous world, we get a real sense of the isolation and suppression of individuals in the fundamentalist regime described. Published in the 1980’s, this novel remains a highly relevant must-read today. After a few months of Book Club meetings, a few people suggested that each book could be scored out of 10 to help keep a record of those books most enjoyed by the Sotonettes but to also help guide people looking for a great read. Unfortunately a simple suggestion is never simple and everyone quickly decided that it was just too difficult to decide on a single score out of 10 for each book! After much debate and discussion, no less than 5 categories have been agreed and selected! At the end of each meeting, the 5 categories below are discussed and something alike to bartering takes place between everyone to find an agreed score. 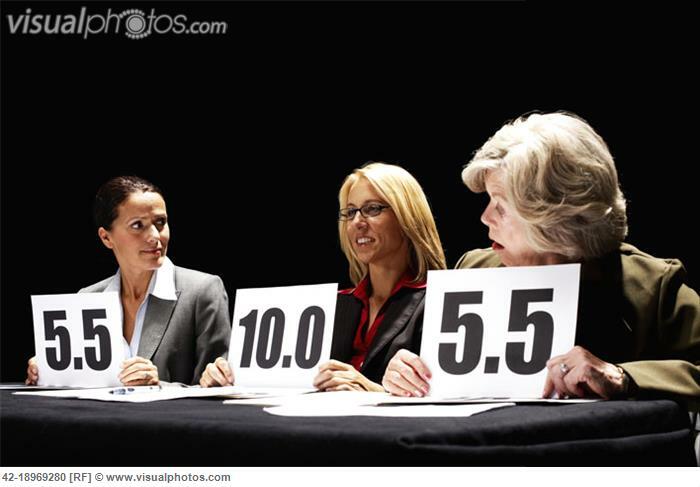 For the sake of everyone else, we also average out the 5 scores to give the ‘Sotonettes Rating’ – additional statistical methods have been discussed but fingers crossed we just stick with averages for now! If you’re interested in coming along to our Book Club, find more information here. If you haven’t seen our Facebook posts or heard us chatting about the Sotonettes Book Club already, you’re missing out! In the autumn of 2013, Kate (one of our Sotonettes Committee Members) decided to start up the book club and it’s already become very popular. If you’d like to find out more about it, have a look at the Book Club page – the next meeting is tomorrow, so please do come along if you’re interested! At the moment, the Book Club has chosen to focus its reading activities on female authors and books with female leading characters. 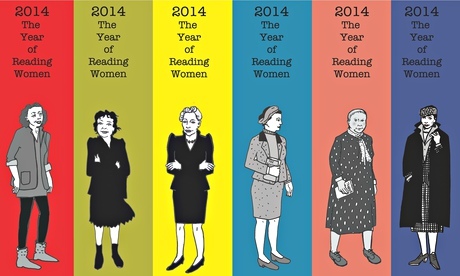 The Guardian has recently written an article about a newly trending hashtag, #readwomen2014 and the reasons behind it. Writer and illustrator Joanna Walsh is starting the campaign for people to read more literature written by women and has even created her own 2014 bookmarks (see above). Read more about this hashtag and Joanna’s campaign in the article here and on her website and blog. Without spoiling The Guardian’s work, we should highlight the work by an organisation called Vida. A few years ago, they carried out a study which revealed a surprising imbalance of published reviews between works by male and female authors. Find out more about their 2011 findings in another Guardian article and the subsequent results for 2012 and 2013 on ‘The Count’ site. This got me thinking – how many books on my bookshelves are by female authors? After a thorough count, our living room collection contains 68 books by male authors and only 22 by women (it was looking very bad for the girls until I found the 7 Harry Potter books). It seems I fit perfectly into the norm with male authors dominating my bookcases, but do you? Let us know your thoughts – you can comment on this post below or drop us an email at sotonettes@gmail.com or find us on Facebook!